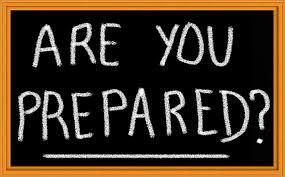 Business Financing – Are You Prepared? Are you prepared? Most businesses want to obtain business financing but many are not ready for financing. Also, every business wants to obtain a bank loan but they are not ready to obtain business financing at a bank. To prepare yourself you need to become familiarized with the documents that banks and or alternatives lenders require to provide you with a business loan. Also, you need to become familiar with the business financing requirements at the banks or alternative lenders. Once you know the financing requirements you can assess if you have the documents and if you meet the guideline requirements. If you are not prepared, than you need to develop a timeline and a plan of action to prepare your business adequately to obtain business financing.